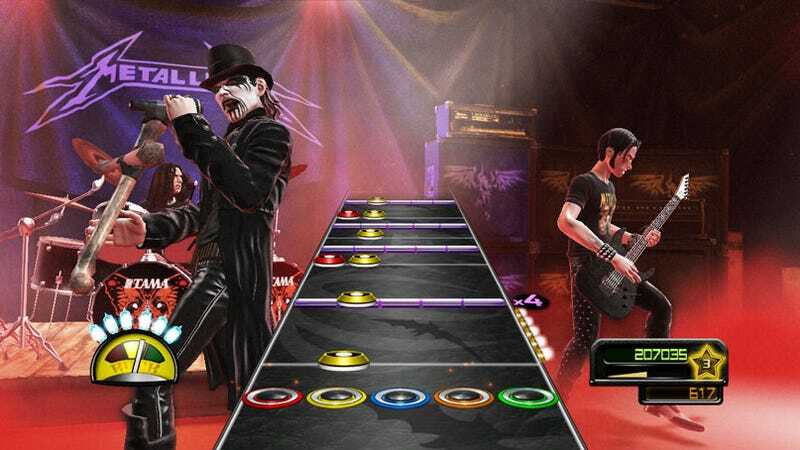 The inclusion of Mercyful Fate's King Diamond will ratchet up the evil in Guitar Hero: Metallica, as well as the Danish black metal quotient. As you can see, Mr. Diamond looks authentically and theatrically evil. That's partially due to the details, like the appearance of Kind Diamond's trademark microphone handle, made of real (polygonal) human femurs. Ooh... scary! One more early taste of the playable Guitar Hero: Metallica guest, right after this. I don't know. I guess it's hard to take some of these guys seriously—right up to the point where they burn churches to the ground and decapitate rival metal musicians. Then I know they mean business.